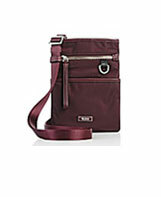 Handbags, of course, carry your essentials, but they also serve another purpose. Handbags are the easiest way to incorporate the latest trends into your wardrobe, look put-together and show off your personality. As in all fashion, there are style Dos and Don'ts when selecting handbags ideal for your body type, the occasion and your needs. This handbag guide describes different handbag styles and explains how body type and handbag size, shape and length can be used to accentuate your favorite features and mask others. This handbag guide also includes helpful buying tips, so you can buy your new handbags with confidence! rules on which dimensions will work for you. 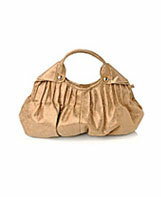 • Tall and slim women appear larger with small handbags and look best with midsize, large and oversized styles. • Don't forget about comfort and practicality. 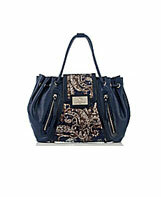 Yes, handbags are the easiest way to make a fashion statement, but they also have to carry your personal items. 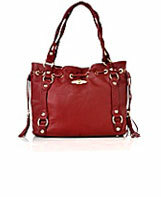 Think about size, compartments, and how long you will be holding or wearing the handbag. 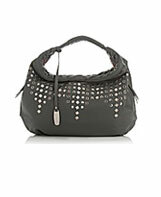 • Handbags are a great way to complement an outfit. Use statement pieces in seasonal colors to add extra pop and handbags in go-to neutrals (like white, cream, brown, black or metallics) to carry alongside busier ensembles. • Consider the occasion when selecting a handbag. 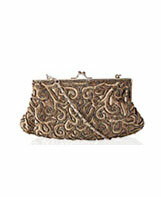 Size, structure, material and colors will help define the handbag's formality. 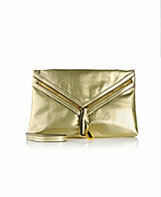 For example, a satin clutch is perfect for a cocktail party but most often is too formal for work. • Be detail oriented. Handbags with many rhinestones, zippers, buttons and embellishments steal the spotlight, so don't wear them with clothes that compete for attention. • Consider closures, as some styles offer more security than others. 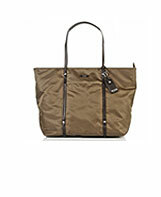 • When buying an everyday handbag, pick one made in a durable material to withstand wear and tear. • A simple way to look put-together is to follow the classic rule of matching a handbag, shoes and belt. For a modern look, wear mismatched but coordinated accessories that are of the same formality. • A well-rounded handbag collection includes at least a large weekender bag, a medium-sized handbag for everyday use and evening handbag. 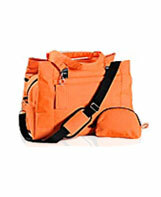 • Regularly remove unnecessary items that weigh your handbag down. 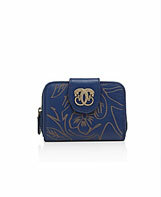 Wallets are sold with handbags because they must be the right size and shape to fit inside.